PPM has refuted the rumors going around that say attempts are being made to remove bribery from the penal code. 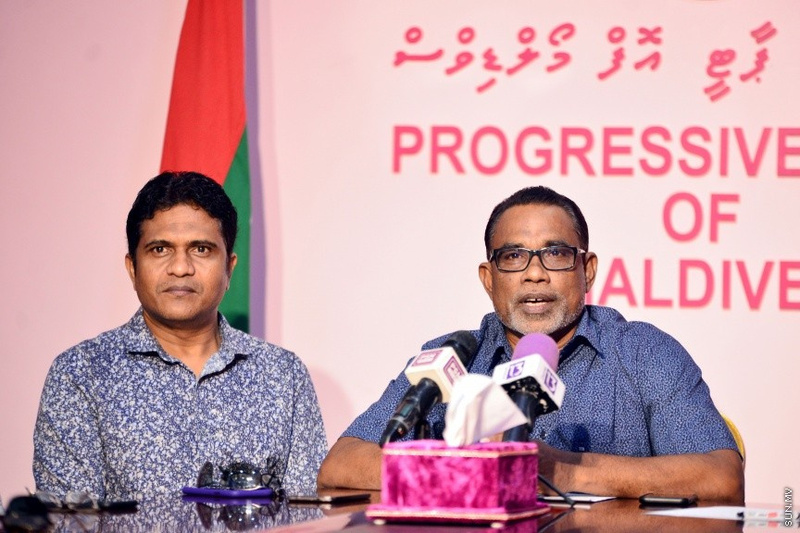 Speaking at a press conference today, Leader of the PPM Parliamentary Group, Ahmed Nihan Hussain Manik, said that the MP for Fonadhoo constituency, Abdul-Raheem Abdulla has presented a bill to amend and add some more clauses to the corruption and bribery article on the penal code. MP Nihan said that the bill was presented to bring some amendments along with the bill presented by the MP for Feydhoo constituency, Ibrahim Didi. He said that the rumors that say that bribery is going to be omitted from the penal code is completely false. Bribery is on the penal code before as well under article 510. The bill presented by MP Abdul-Raheem recommends to create an Article 550 to include corruption and bribery. The amendment made to article 510 as presented MP Ibrahim Didi, it classify as disrespecting the court. When asked why the two bills were presented separately, and pausing between amendments, MP Nihan responded by saying that the bill did not go to the parliament floor for the first reading because the PPM Parliamentary Group wanted to discuss the bill before proceeding. According to MP Abdul-Raheem's amendment, offering a bribe to a state official and an official accepting a bribe is against the law along with offering and accepting bribes regarding project bids. It also state that acting otherwise in a matter beneficial to the state is also against the law. Corruption is now put under a separate article which include conducting personal business during office hours.